Spring is my favourite season in Whistler: there’s sunshine, “corn snow” on the mountain and warm afternoons by the lakes. It’s a beautiful combination of winter and summer activities in one, often underrated, season. This is what Whistler’s Great Outdoors Festival (known as “GO Fest”) is all about. It’s a four-day sampler of the almost limitless range of things Whistler has to offer in spring. This limitlessness makes GO Fest hard to describe in one sentence. Held over the Victoria Day long weekend from May 17 – 20, GO Fest offers events and workshops showcasing all of the fantastic things to do here in a newbie-friendly format. GO Fest has (free) daily yoga classes, sailing, paddleboarding, skateboarding, scavenger hunts, trail runs, golfing, fishing, tennis, and various bicycling options (road biking, mountain biking, as well as the option to bike from activity to activity on the Valley Trail). Whew! There are also art workshops and cultural and educational offerings such as the All British Car Show. This year, GO Fest has the Valley of Dreams Walking Tours with Whistler Museum on both Saturday and Sunday. 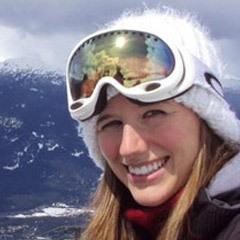 The hour-long tour starts at Whistler Olympic Plaza, winds through Whistler Village and covers the resort’s development from fishing destination to Host Mountain Resort of the Vancouver 2010 Winter and Paralympic Winter Games. Are you a booklover? The Whistler Writing Society’s spring reading series brings Exploring our Sense of Place to the Squamish Lil’wat Cultural Centre (SLCC) on Friday, May 17 at 7 PM. Authors Geoff Powter (Inner Ranges: An Anthology of Mountain Thoughts and Mountain People), Becky Livingston (The Suitcase & The Jar: Travels with a Daughter’s Ashes) and Amy Fung (Before I was a Critic I was a Human Being) will give readings from their current books. A post-reading discussion with the audience will be led by the always-entertaining, science and adventure writer Leslie Anthony. The reading has an outdoor, environment theme. 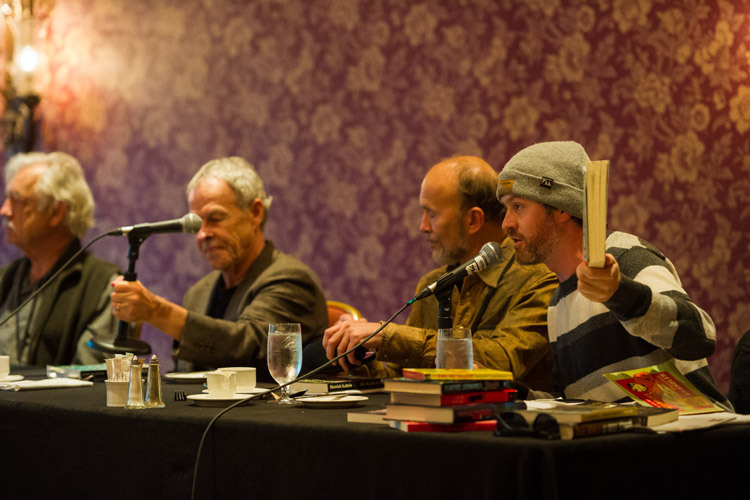 If you want to delve deeper into the world of books, Geoff Powter will be running a workshop the following day (and if you want to delve even deeper, put the Whistler Writers Festival in your calendar for October 17 – 20 this year). The GO Fest concerts are a highlight of the weekend. 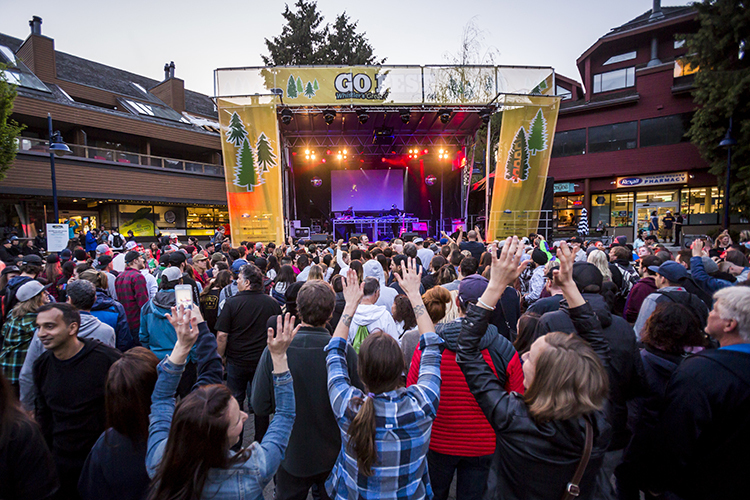 GO Fest is known for launching the summer-long series of free outdoor concerts, a program by the Resort Municipality of Whistler. JUNO-winning, alt-country, singer-songwriter Corb Lund takes the stage at 7:30 PM in Village Square. Blues-rock singer-songwriter Jesse Roper performs at 3 PM and JUNO-winning indie rock, pop-influenced Said the Whale are on-stage at 7:30 PM. Soul, neo-folk and hip-hop artist Tonye Aganaba performs at 3 PM followed by soulful R&B roots artist Buckman Coe at 3:40 PM. The eclectic Lazy Syrup Orchestra will bring dance, MCing and live instruments to the stage at 7:30 PM. Lazy Syrup Orchestra is a collaboration between Dunks from The Funk Hunters, Thomas Workshop from The Soul Hop Committee and members of Love You Miss You and Wooden Horsemen. 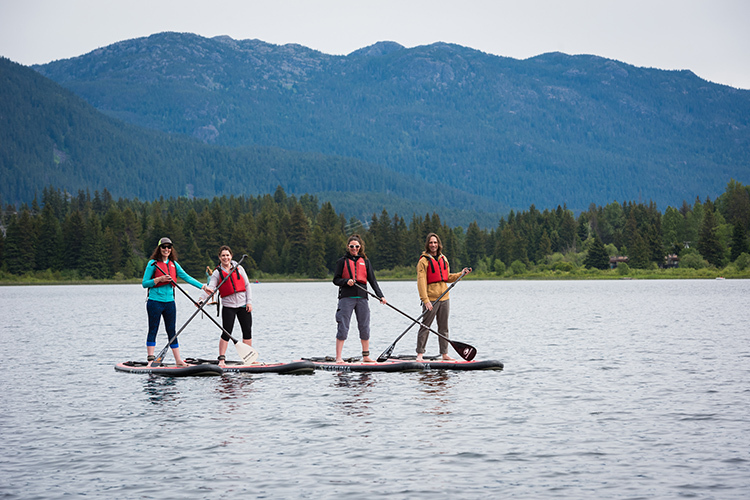 To build on the list above, GO Fest has sailing clinics with Whistler Sailing Club on Alta Lake as well as stand-up paddleboarding, canoeing and kayaking with Backroads Whistler (make sure you register in advance because these three sell out fast). There’s also the GO Green Nature Scavenger Hunt and the world-wide running sensation, Parkrun, both on Saturday through the Lost Lake Park trails. If you feel like trying something iconically Canadian, consider Forged Axe Throwing on Saturday and Sunday at Whistler Olympic Plaza (it’s basically darts, but with axes). All of the above is very child-friendly, except unsurprisingly, axe throwing is for kids 11 years and older with adult supervision. 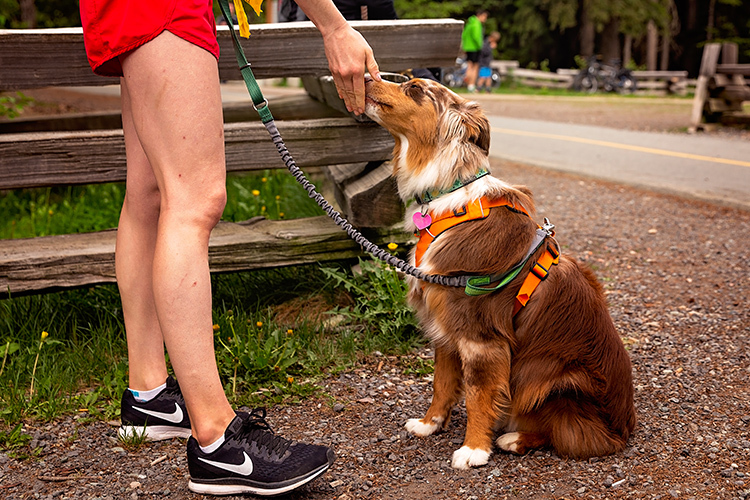 Your pup can take part in the Parkrun too – just make sure you bring your leash. Whistler Cycling Club has a group ride on Saturday morning, leaving from Whistler Village Sports. 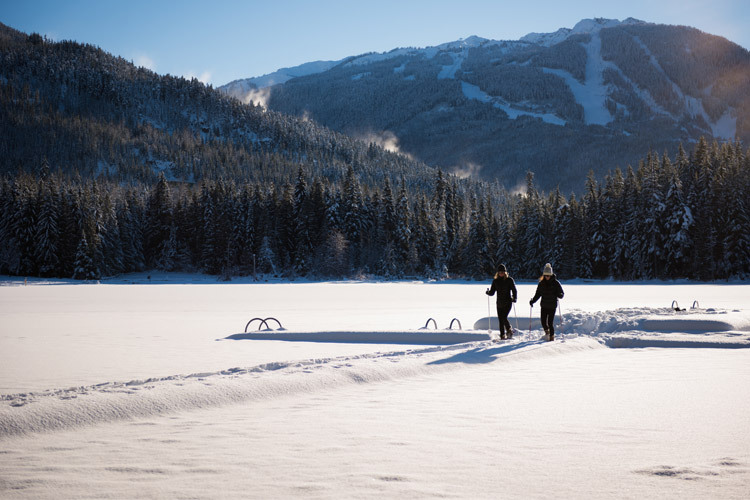 To make sure you get a good stretch after all these activities, check out the free Community Yoga, on daily at the Whistler Olympic Plaza Base Camp. GO Fest’s Photography Workshop is always popular, it’s a good idea to book early if you want to attend. Jeff Boyce is running the workshop on Saturday at The Point, a beautiful old cabin property on the far side of Alta Lake. 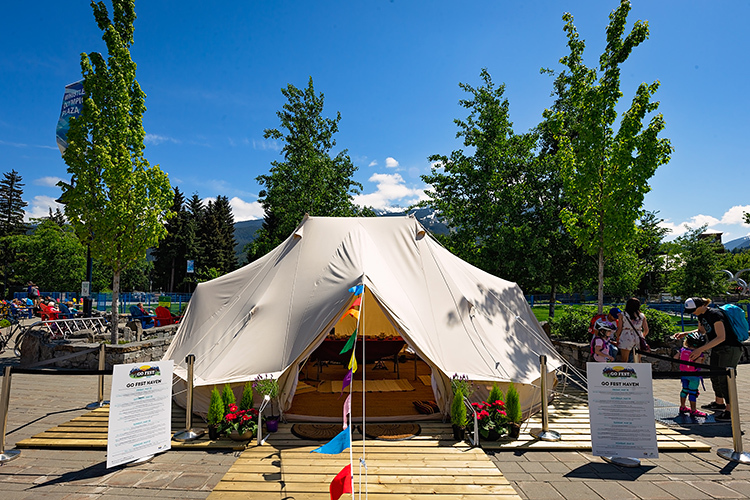 The GO Fest Haven, a cozy, canvas tent-style abode found at Whistler Olympic Plaza, will have two essential oil workshops among their mix of programming: an Introduction to Essential Oils on Saturday and Essential Oils for Summer on Sunday with Christine Thethi. Looking for kid-friendly entertainment for a couple of hours? 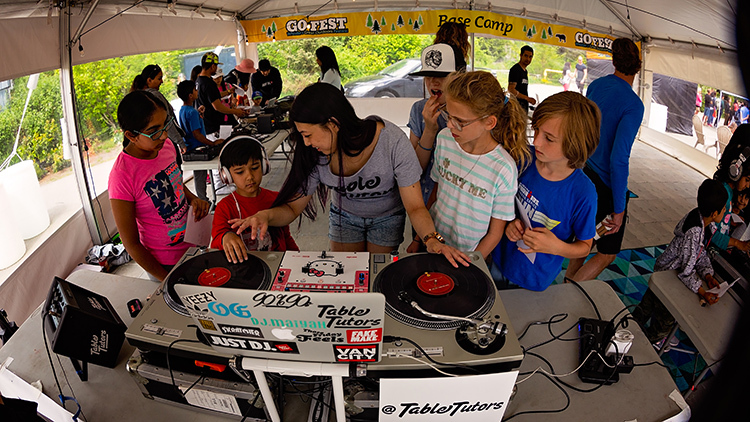 Table Tutors, the DJ school, is one of the many things for the kids to do at Whistler Olympic Plaza on Saturday and Sunday. The GO Fest Haven is home to Introduction to Essential Oils and other workshops all weekend. On Friday, you can fill your belly at the Whistler Public Library’s Pancake Breakfast before your day of activities. Swing by the Upper Village for the first Whistler Farmers’ Market of the season on Sunday from 11 AM – 4 PM. You can find fresh, early-season fruit and veg, live music and regional crafts, as well as delicious meals and snacks. The GO Fest Haven also has a series of educational workshops (with many to be announced closer to the date) including a Navigation Workshop with Mountain Skills Academy on Saturday and the Whistler Museum’s Discover Nature Display on Monday. Kids can learn the art of DJing during Table Tutors. Young (and young at heart) naturalists will enjoy the Build Your Own Birdhouse on Saturday and Dig Sow Grow (planting a sunflower) on Sunday at Whistler Olympic Plaza with AWARE (a community group whose name stands for Association of Whistler Area Residents for the Environment). Impressively, GO Fest has worked with AWARE before, during and after GO Fest to divert more than 90 percent of event waste. You can find additional recycling bins over the weekend at the Whistler Olympic Plaza Zero Waste Station. 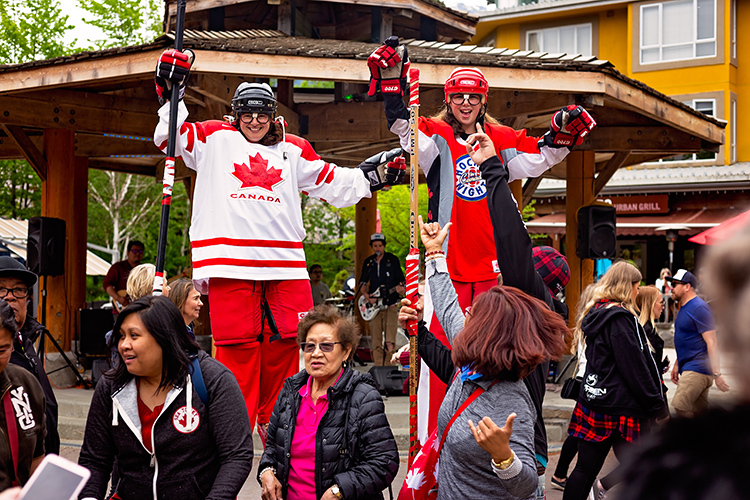 Make sure you say hi to the hockey-loving stilt walkers in the Village. 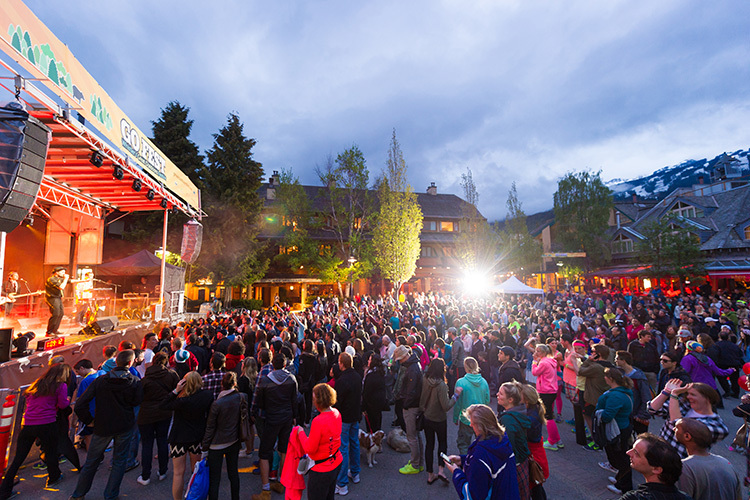 Whatever your plans for the long weekend, make sure you head to Whistler Village for plenty of activities, music and entertainment, many of them free. It’s the perfect opportunity to try something new. Curious to find out more? 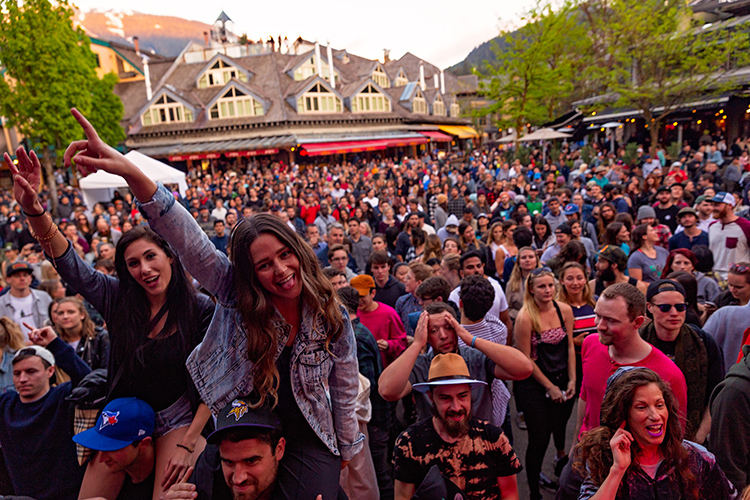 Visit Whistler.com for a wealth of information on GO Fest, Whistler, and things to do here year-round.